Set of 3 multitool corkscrew wine opener with Kitchen Gadgets retail Packaging.Functions as a double hinged corkscrew, a foil cutter knife and a Bottle Cap Opener.Serve your wine as a professional sommelier. The double hinge construction of this corkscrew wine opener allows easy one hand opening of wine bottles.This high quality set consists of 3 heavy duty wine openers (red, yellow and green), made of durable metal that will last for years.Perfect accessory for your personal wine collection or as a gift for fellow wine enthusiasts. The corkscrew wine openers are dishwasher safe, but hand wash is recommended. 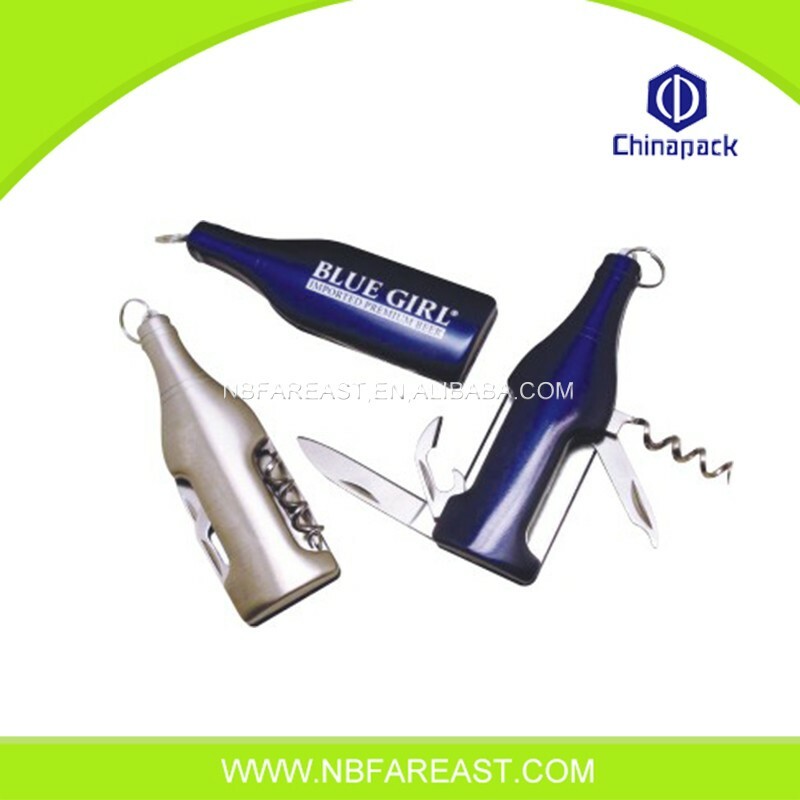 Looking for ideal Alternative Corkscrew Wine Opener Manufacturer & supplier ? We have a wide selection at great prices to help you get creative. All the Corkscrew Wine Opener Custom are quality guaranteed. We are China Origin Factory of Wine Opener Custom. If you have any question, please feel free to contact us.